The Gallery Collection, as part of our charitable donations program, recently donated 500 birthday cards to the Paralyzed Veterans of America Central Florida Chapter. 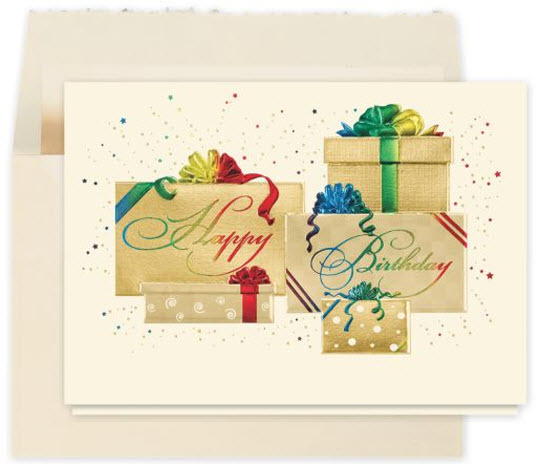 The PVA sends these birthday cards to the Veterans that they serve throughout the year. The Paralyzed Veterans of America Central Florida Chapter and the membership is comprised of those who have sustained a spinal cord injury/dysfunction or disease and those people who support the quest of the membership for cures to their infirmities or seek to help create an atmosphere whereby the injured and suffering can assume a place in society that can be mutually beneficial. Kudos to the Gallery Collection! More companies should be as forthcoming to our veterans. I like the expression “Home of the free, because of the Brave”. No truer words have been written. This is so wonderful – I too always donate to our local veterans. I donate clothes, appliances, and I try and send them a money donation a few times of year too. They send me wonderful calendars and return address labels. They deserve so much more than they have and again the Gallery Collection does not cease to amaze me with their kind hearts and generous ways. Let’s never forget those who paid a great price with life and limb. Freedom is truly never free. I am also grateful to the families who support the vets when they return home with permanent disabilities. They are often the unsung heroes of our nation laboring behind the scenes.